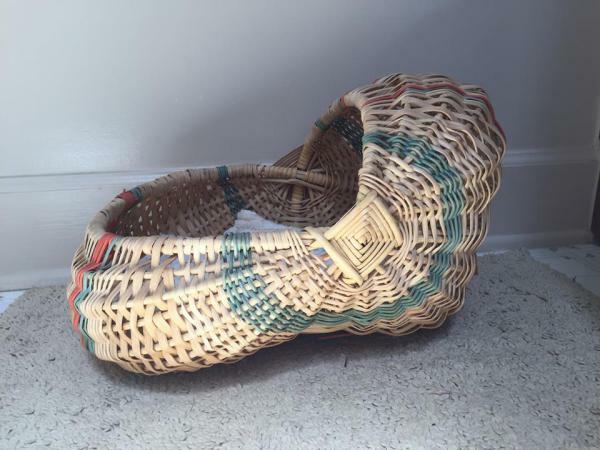 I learned how to weave old style Appalachian Baskets back in my 20's and know around 8-10 different basket patterns. I used to teach a lot of weaving classes and sold my baskets on weekends at Art and Craft Fairs. 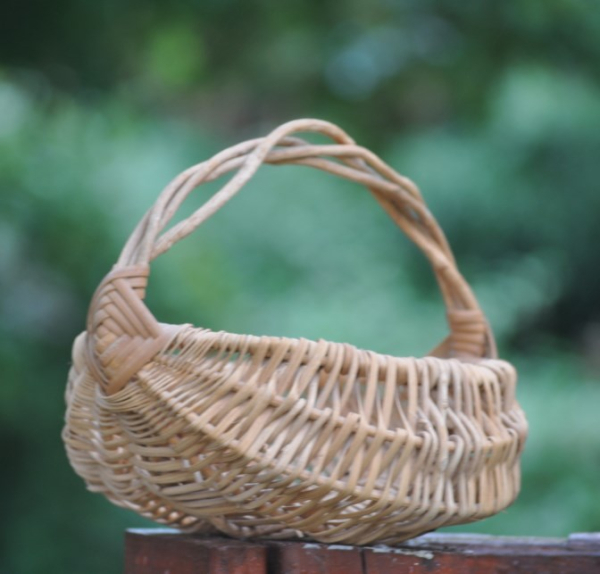 Occasionally I still get the urge to make some type of decorative basket. I recently altered the shape of an Appalachian Potato Basket into a Cat Bed for my new kitten. More photos will be added as I weave more baskets.